Teeth grinding is an involuntary act that happens mostly when one is asleep. This also goes by the name bruxism and has been touted as one of the main reasons behind cracking and chipping of the teeth. Staggering statistics show about half of the world’s population grind their teeth while asleep and a solid 5 percent of the world’s population voluntarily engages in the act while they are wide awake. Grinding of the teeth while asleep is typically heard and reported by the person’s partner, friend, or parent. Grinding of the teeth has also been known to happen when people are deeply concentrating, angry or anxious. If a child, roommate, spouse or friend hears another person mashing their teeth together in the middle of the night, then it's most likely that they are grinding their teeth. The grinding may sound painful, but the person is typically asleep when doing so. A lot of teeth grinders wake up in the morning with a stiff jaw or a painful headache. 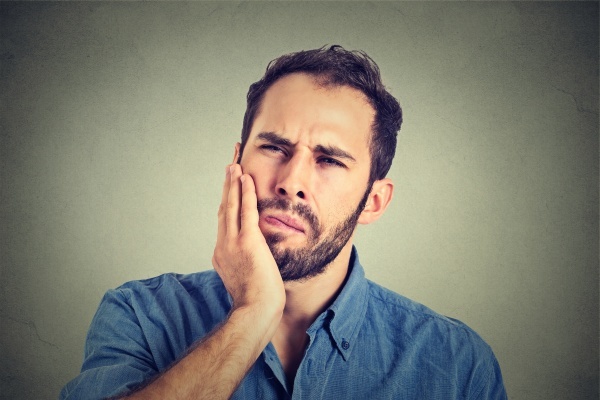 When the teeth mash up together and exert pressure against one another throughout the night, it leads to discomfort in the entire facial area for some time afterward. The jaw and head are finally given a chance to relax after clenching all night. If you wake up and feel that your jaws are quite stiff, it’s probably because they have been at work all night. Heightened stress and anxiety not only takes a toll on a person's psyche, but it can also badly affect their dental health as well. Increased stress and anxiety can have a person grinding their teeth without even realizing it. Some people express anxiety or stress physically and clenching the teeth together is a way that it is expressed, but this clenching is actually grinding. Sometimes grinding of the teeth can be an inherited trait. Older family members may pass the trait down to their younger ones. If a person has a habit of grinding their teeth, they are likely to find that a parent, an uncle or sibling has the same habit as well. Grinding of the teeth, just like any other medical conditions can be passed down through genetics. Grinding of the teeth could also be induced by certain medications. Medications such as anti-depressants and antipsychotics have been known to exacerbate teeth grinding. People with an aggressive, hyperactive, hypercompetitive and confrontational personality are likely to grind their teeth. Grinding of the teeth for these people is likely to occur whenever they get nervous, angry or impatient. Substances such as alcohol, tobacco, and anti-depressants may increase the risk of teeth grinding according to various studies. Disorders such as dementia, Parkinson’s disease, gastroesophageal reflux disorder (GERD), night terrors, sleep apnea, epilepsy, attention deficit hyperactive disorder (ADHD) etc., have been known to cause and exacerbate teeth grinding. Grinding of the teeth is not enjoyable for anyone, knowing what the causes are may help in the prevention of further grinding or future grinding. « What is Adhesion Dentistry?